I love bikes. For twenty years of my life the bicycle has been one of my primary forms of transportation: in the Marshall Islands where there were no personal vehicles, in Seattle through many rainy commutes, in Minnesota winters while a car-less college student, in Bogota, Colombia with its ciclovia, and in DC with an ever-growing creative bike community. An Xtracycle for camping, grocery trips and giving friends rides home from a bar. 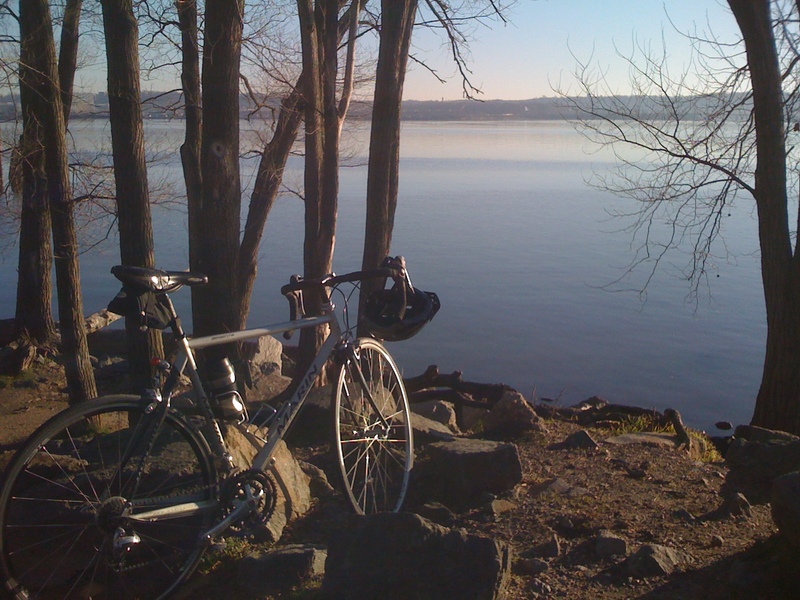 A road bike for recreational weekend road rides with friends and training rides. A stylish urban commuter bike on which I bomb around the city’s potholed streets. 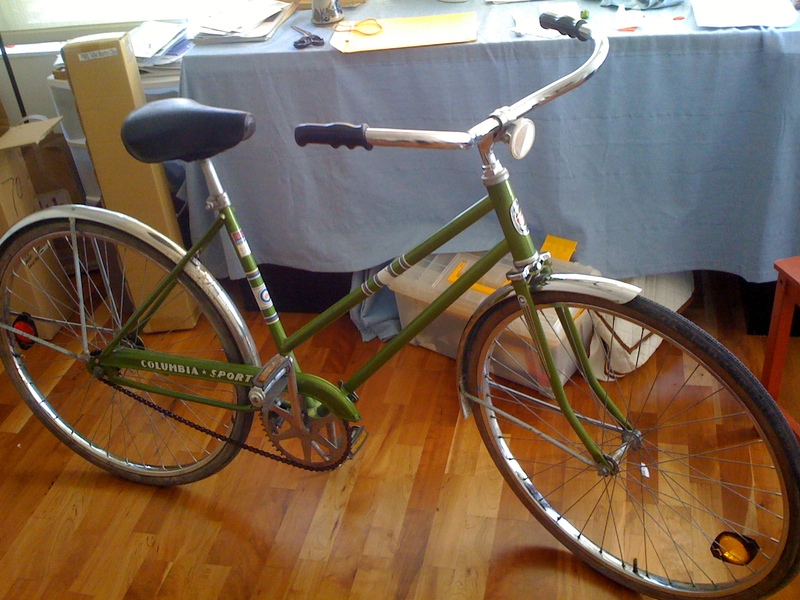 An old one-speed cruiser that I use when I don’t want to worry about one of my nicer bikes getting stolen, when I’m wearing a skirt or when I just want that more upright, leisurely riding style that helps me slow down and appreciate my surroundings. There is hardly room for one bike in my tiny house let alone the four I currently have. So, how to choose from my current bikes? Easy: don’t decide…buy a new one! And, of course, get rid of all the others. I looked for a bike that could meet the majority of my requirements and, after many months of research, I came across a bicycle company in my home state of Minnesota called Handsome Cycles. Enter into the equation the Handsome Devil: a beautiful, clean steel frame that is very versatile and good-looking. Not only was it everything I was looking for, it came in my favorite color – green! I was sold. So, I now have five bikes that are about to be transformed into one. Part of the beauty of living in DC is the ability to live car-free, and we definitely want to provide some bike storage on the alley lot. While we are considering storing some bikes in a shipping container (Brian too has 3 bikes and no plans to downsize his fleet), we’ve also been exploring ways to store bikes attractively in or just outside the tiny house. I would like some setup that allows my bike to be secure and free from the elements but not have it in the middle of my tiny living room. Here are some interesting ideas I’ve come across (click on images to link to original images and websites). 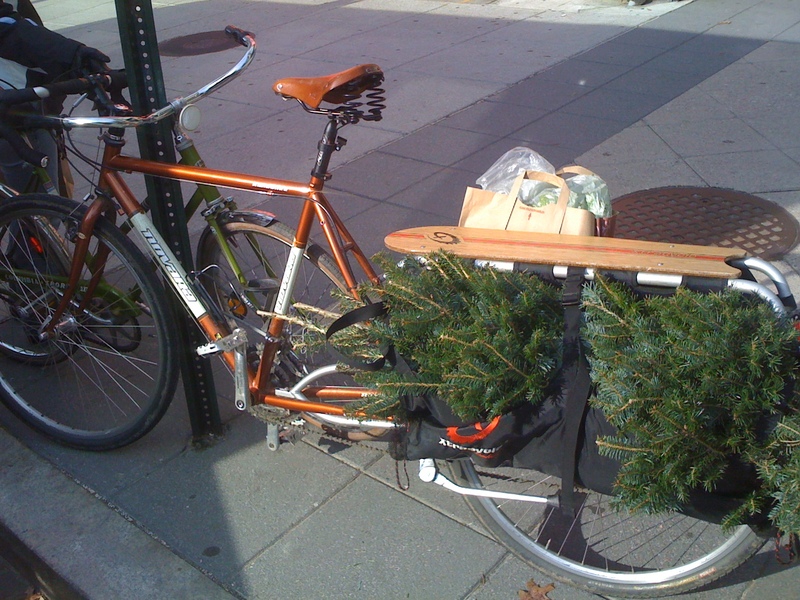 Bike Shelf from Mission Bicycle Co. The Bike Shelf (by Mission Bicycles) – Beautiful, elegant, but requires more wall space than I might have. Also, I don’t think I want to spend the same amount of money on the shelf that I hang my bike on ($299!) 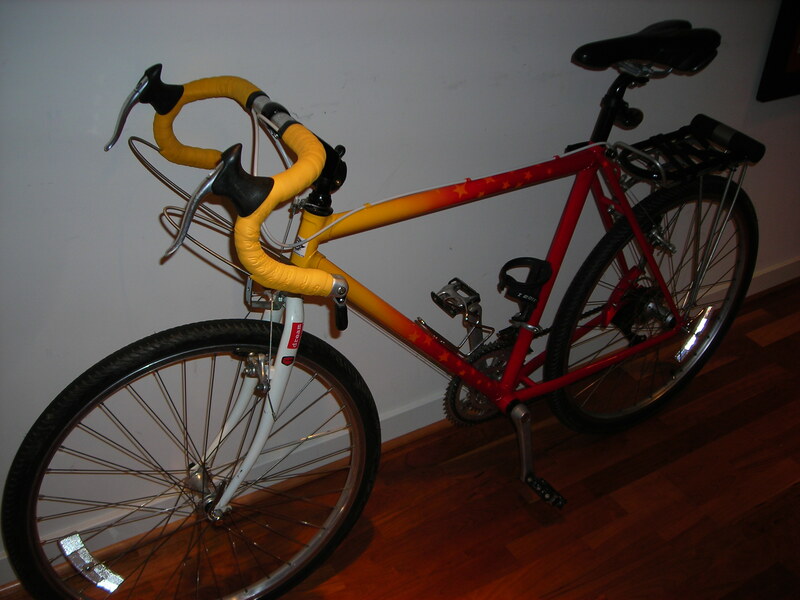 that my bike itself cost (well, the frame and fork cost just over $300). For those with the extra money, though, I think it’s the most aesthetically-pleasing option I have found. Hooks – use a $3 utility hook from the hardware store – I think this would work best out on a tiny house design with the covered porch (which I will not have). But, I might experiment with hanging the bike from the ceiling using hooks like the example at left. Pulley system – an option to elevate your bicycle in the tiny house, but I really don’t like the way it looks with all the hardware. Another option for ceiling storage: I like the design at left in a small studio apartment in Seattle. Outside option – we are investigating how to hang the bike on the outside of the house incorporating a way to fold up a locking door or hatch to enclose it. What other ideas do you have for storing bikes that might work well in a tiny house? Next Post: the deal is done! Carrie…thanks! I just came across your blog last week and love it! It actually made me reconsider perhaps going with a gooseneck trailer. When I visited a tiny house out in Northern California one of the guys who built it said he would do one over a gooseneck trailer next time. I’m going to try and read more of your blog posts to learn about it before I firm up my design. I agree this is a significant issue. When I built my tiny house (a garage conversion), I lost my best bike storage space, to my regret. If you’re going with a trailer house, the gooseneck trailer mini-shed idea seems like a good way to go. You weren’t totally car-less in college!! Admit it, you had a car for a couple years, remember? I love the original designs you’ve found to store your bike. I’ll be interested to see what you finally decide on. So will you actually sell all your bikes once you buy your new one?